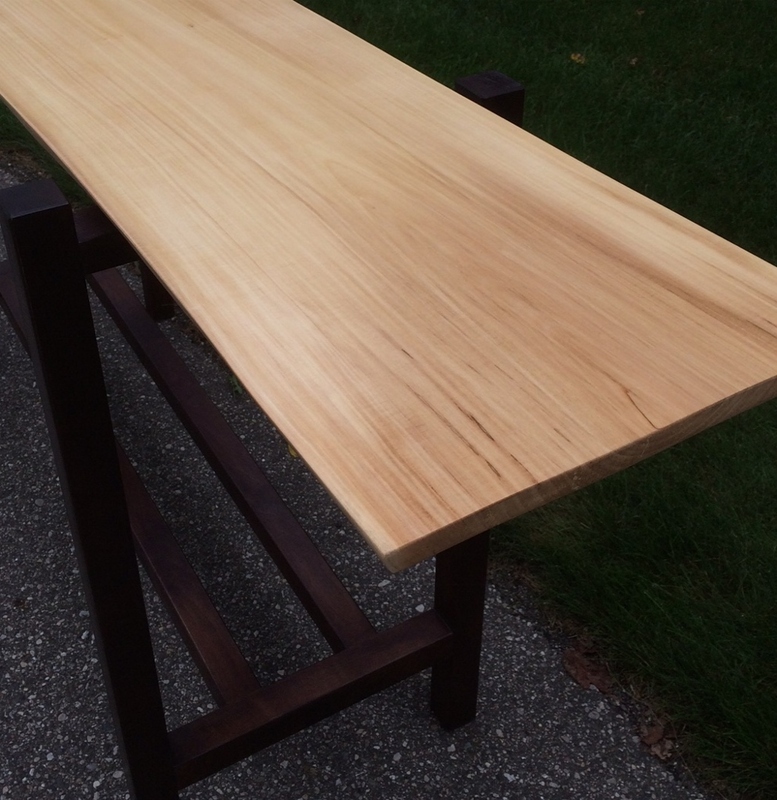 Live Edge Maple Sofa Table: Handmade custom heirloom furniture from Michigan. 70" x 14" x 38"
Pictured in hard maple with a dark walnut dyed maple base and shellac finish. This one of a kind sofa table was developed to showcase a beautiful slice of maple.